Hargeisa General Hospital has recorded 478 cases of tuberculosis (TB) in the last 45 days, marking a significant rise of the deadly infectious disease. The hospital report shows that 300 of the people diagnosed with TB came from rural areas ofSanaag, Togdher, and the western coast of Guban. Osman Abdi Meygag, the hospital director, attributed the risein TB casestoover- crowding in many IDPs camps,where thousands of people are living in poor conditions after fleeing their villages due to drought in these regions. “Our analysis leads us to the conclusion that the infection has spreadfast in the most crowded areas and multiplies due to the food shortages that hit the rural areas after severe drought swept these regions,” Dr Osman told Radio Ergo. The hospital is currently treating and issuing medication to close to 1,000 people for TB. There are 180TB patients under treatment in the wards, with a further 750who are taking the medication at their homes. “We admit those seriously weakened by the disease. The admission, treatment and food are free of charge. We discharge those who are recovering to stay with their relatives in the town because the hospital does not have enough beds in the wards,”Dr Osman explained. Poverty appears to be the greatest challenge in the fight against TB in rural areas. 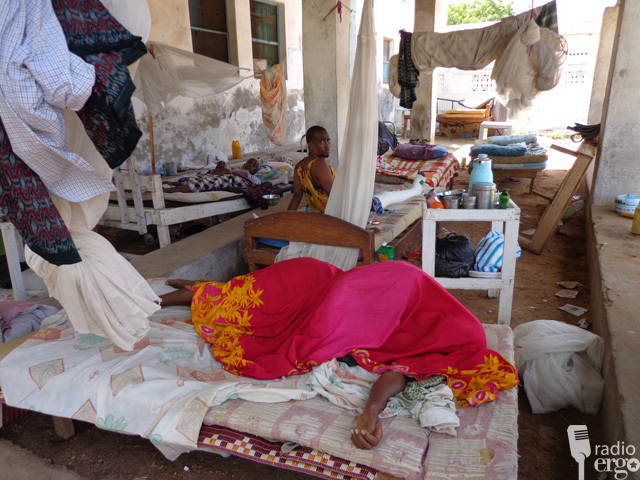 Salah SaedMohamud, 40, walked for three days from his village in Sanaag region to the hospital. His relatives suspected he had contracted TB and brought him for testing in November. He was diagnosed with TB. On arrival in the town, he was admitted to the hospital as he was so weak. He will remain there until his treatment is completed. “I have been feeling weakness, fever at nights and I also lost a lot of weight. This has been going on for long time but now I am recovering well as I am taking the medicine at the hospital,” Salah told Radio Ergo. “I was feeling pain, had a fever and cough and then I was brought here. I started the treatment and I am recovering well,” said Abdikarim.